In this series, we’ll explore the data announcements and events that may affect the performance of bank stocks during the upcoming week. With earnings season for the four big banks officially over, bank investors should turn their attention back to more general data releases that could impact the banks in the coming week. Though there will be continued discussion about various earnings hits and misses, most of the impact of earnings reports has already been felt. Let’s take a look at what’s coming up this week. Existing Home Sales: As more data shows a slowing in new single-family home construction, existing home sales may become more important to bank investors interested in seeing how much new mortgage business is flowing into the banks. As we saw in Bank of America Corp (NYSE:BAC)‘s earnings report, the bank is making progress in capturing more of the mortgage market, while Wells Fargo & Co (NYSE:WFC), the former leader of the pack, showed a decline in mortgage revenue for the same period. FHFA Home Price Index: Much like the new importance of the existing home sales figures, increasing home prices will give banks a better chance of growing mortgage revenue. This will also be important for any banks that provide mortgage insurance, since the higher prices will lead to higher down payment requirements, with mortgage insurance picking up some of the slack. Earnings: Regions Financial Corporation (NYSE:RF): One of the smaller banks, Regions, will announce its first quarter earnings on Tuesday. As we saw with some of the other regional banks that reported earnings already, there is plenty of opportunity for investors to grow with the banks that operate on a smaller scale. MBA purchase applications: Application activity rose 4.5% last week, even as interest rates remained flat. The rate of mortgage and refinancing applications fell earlier in April, giving banks and their shareholders some concerns about the ability to continue growth in their mortgage operations — on of the leading drivers of many of the Big Four’s record earnings. Earnings: New York Community Bancorp, Inc. (NYSE:NYCB): Another regional bank announces earnings on Wednesday, so investors should be keen to see if there is a trend among the smaller banks. Jobless claims: This week’s jobless claims were up slightly but gave a broader view of the labor market — specifically that the recent huge fluctuations in claims were a result of both a holiday and seasonal circumstance. But with recent surveys of business owners showing a decline in confidence in the economy, and therefore an unwillingness to hire new employees, bank investors should keep an eye on this report. Bloomberg Consumer Comfort Index: Leading indicators this week showed an uptick in consumer spending — a big boon for the banks. But with the most recent surveys and indexes showing a slide in consumer confidence, that spending may take a breather. 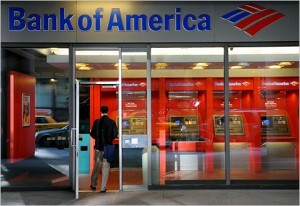 Bank will be keeping track of consumers and hoping that confidence rebounds so their wallets open up.